Looking to escape the hectic pace of modern life and unplug from technology? Want an opportunity to practice the art of being still, being here and being present? Craving an adventure, a chance to connect with like-minded people, and that feeling of accomplishment that results when you push yourself beyond what you thought was possible? Then our Holistic Adventures are for you! Designed primarily for adults (especially those young at heart), and varying in length from an afternoon, a weekend up to a week, we offer a range of opportunities to entice beginners and well-seasoned explorers to JOIN. We would love for you to JOIN Us on an Adventure and discover a new perspective of yourself and the world around you. 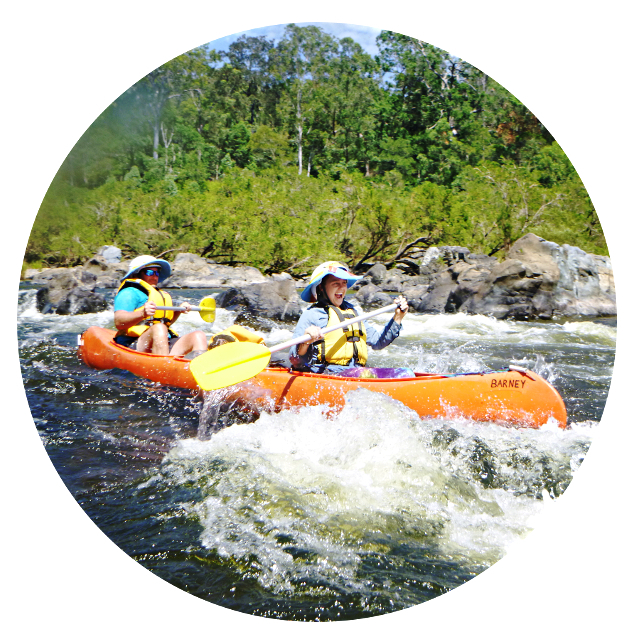 See the awesome adventures we offer below! Come and canoe along the Cabarita canals by candlelight. A picnic basket filled with floating organic appetisers will accompany cushions and candles-a-plenty. Breathe in the fresh sea air, as the sunsets and the stars begin to dance overhead. Get a group together to celebrate in style by being guilded through the secret nature passages in Cabarita. A weekend filled with wellness. It’s time to step away from the rat race, go back to basics and reconnect with your mind, body and soul. Two days filled with nurturing movement, nourishing food and wellness workshops, hosted at The Hideaway. Inclusions: Body Compass sessions, Massage & wellness workshops and a sunrise/set canoe paddle. 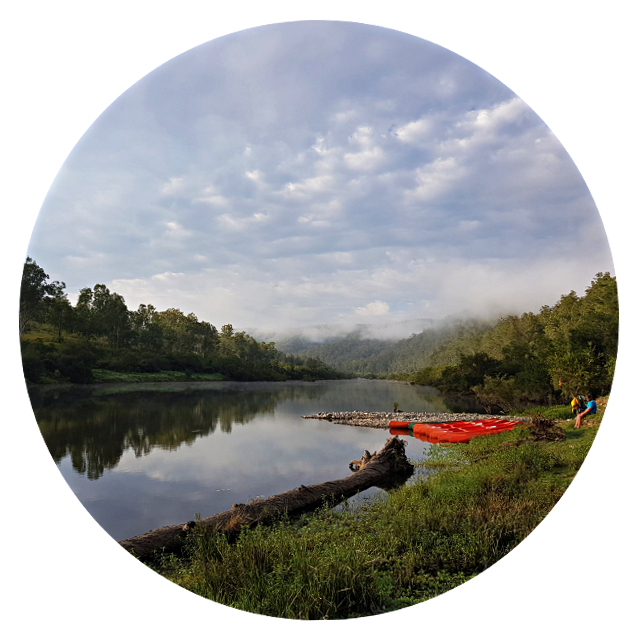 A gentle week-long journey in canoes, along a section of the whitewater canoe trail in Australia. 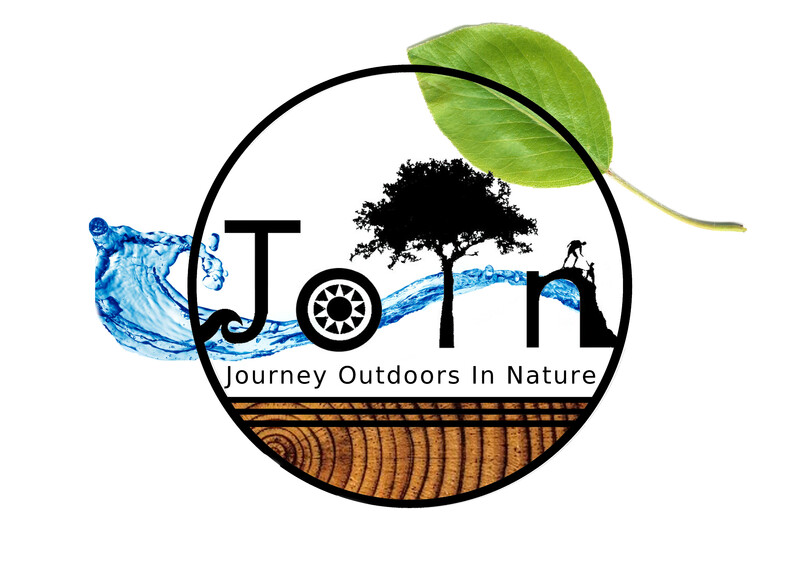 An opportunity to leave behind the stressors of modern life, immerse yourself in nature, nourish your body with movement and fresh healthy food and form real connections with those around you. A chance to rejuvenate, reconnect and re-discover your natural wellness. Beginners and/or experienced canoers welcome - all you need is an open-mind and sense of adventure! This experience is a beautiful opportunity for individuals, couples, family members, and friends to deepen and nourish relationship. Deep growth and connection is available by immersing together into nature whilst developing supportive communication practices. Being in canoes creates a platform for a much more intimate understanding of self and the water. It is not like the gun-ho, guided experience of a rafting adventure. Instead boats are paddled in pairs, facilitating an opportunity for participants to develop trust, communication and understanding with their canoeing partners, as well as experiencing first hand the outcome of their paddling decisions. With the Nymboida rivers safe, drop-pool style, capsizes and mistakes are harmless fun, with ample room to collect our wits and process our experiences in the calm pools below. The excitement of the rapids is well complemented by the peaceful, pristine, natural gorges that engulf us as we venture further downstream. Wilderness campsites far from civilisation, provide the backdrop for impressive stargazing opportunities, as we commune around the campfire by night. Nonviolent Communication (NVC), was founded by Marshall Rosenberg in the 1960s. It is grounded in consciousness, language, communication skills, and uses of power that enable us to remain connected to everyone’s humanity, even under trying conditions. Nonviolent Communication contains nothing new: all that has been integrated into NVC has been known for centuries. 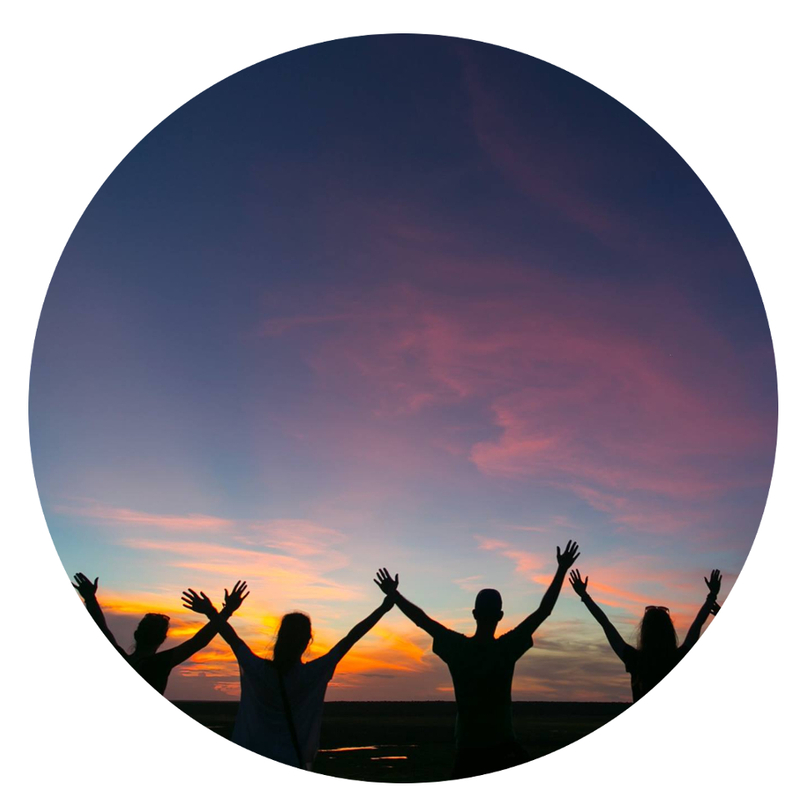 The intent is to nd us about what we already know – about how we humans are meant to relate to one another – and to assist us in living in a way that concretely manifests this knowledge. The prerequisite for this retreat is prior attendance at a NVC 2 day foundation training or equivalent. Arriving with some understanding of NVC helps people to benefit from each moment of the retreat (not just the sessions). 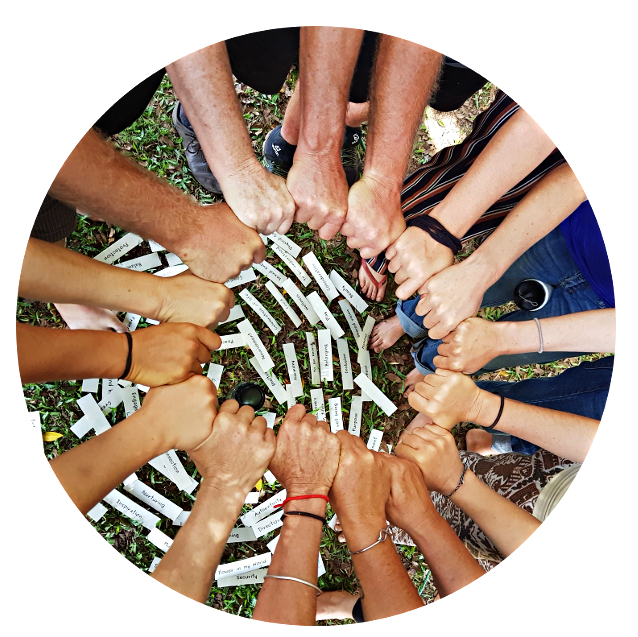 Kate will offer us all an experiential style of integrated practices that support learning NVC in ways that are lively, relevant, engaging and deeply enriching. For a list of trainings, go to www.nvcaustrlia.com Talk to us if you can’t make one of these, there may be other options. If your canoe experience is limited, don’t stress: no paddling experience is required and beginners are welcome! We will teach everyone the skills, features and safety tips needed to give whitewater canoeing ago. An open-mind, positive outlook and sense of adventure, will be all you need to bring. This section of river is perfect for developing canoeing skills, as there are easier grade 1 and 2 rapids for the first few days, allowing time for solid skill development, and little consequence for mistakes. As the journey continues and your skills improve we will approach some more challenging grade 3 elements to paddle and grade 4 rapids to portage (walk around). A great progression in physical challenge will be equally matched by a journey deeper into our understanding of ourselves and the way we can effectively communicate with others. The retreat will be facilitated by Caitlin Clare, Kate Raffin, Tegan Cork & Laura Stampa. Caitlin is a Zenthai Shiatsu and Biodynamic Craniosacral therapist, NVC mediator and adventurer into the nature of all things. 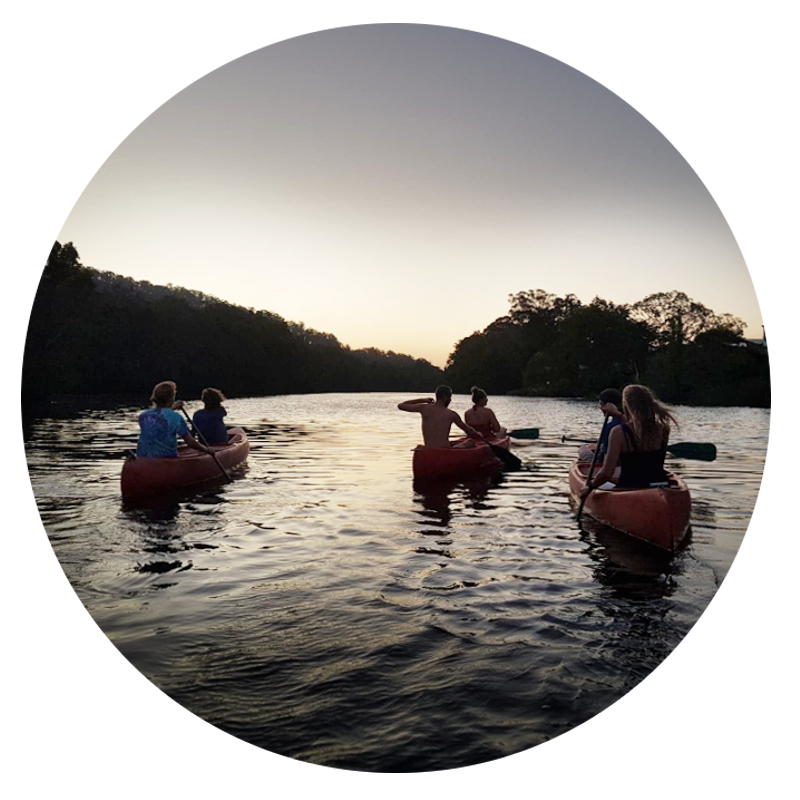 In 2018 she immersed into both a white water canoeing journey with Tegan and Laura, and also the NVC expedition into Kakadu with Kate and Cassie Newnes. And from the profound experience of these journeys grew a vision to merge the two. This was achieved with our first collaboration in January this year. Living out her dream to combine the support and connection of NVC with the thrill and challenge of white water canoeing and the peace and simplicity of life on the river. It was so magic we all want to do it again. Head over to BOOK YOUR JOURNEY to secure your spot or contact us below if you have any questions.